M4 Self Store is a business that has expanded its growth rapidly over the past few years. They take pride in offering professional and professional services with their "can do" attitude. 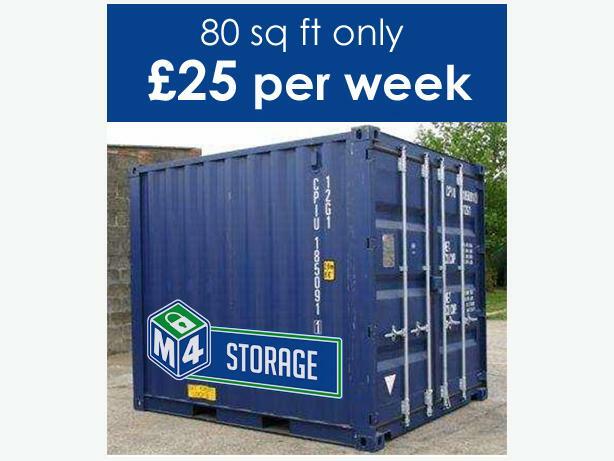 This self-storage facility specialises in self-storage, mobile storage and commercial storage. M4 Self Store offers storage units that are all on ground floor level. This offers easy accessibility to the Self Load Bays, where trolleys or lifts are not required. All the units are secure, safe, clean and dry. This facility has constant 24-hour digital CCTV and each unit is fully intruder and fire alarmed. You also have the choice to choose from their efficient delivery service and the facility is located conveniently at Greenbridge. M4 Self Store offers several logistics and storage solutions for small and large businesses. Whether you need a managed, flexible office space, or storage space for your commercial stock, or you only need assistance with unloading deliveries and pallets on arrival, this Self Storage Facility is here to accommodate all your commercial needs.